Johnson & Johnson’s inflammatory diseases blockbuster Remicade (infliximab) faces further US competition after the FDA granted a licence for Samsung Bioepis’ biosimilar, Renflexis, in all the originator drug’s uses. In the US Renflexis (infliximab-abda) is approved in adult and paediatric Crohn’s disease, adult ulcerative colitis, rheumatoid arthritis, ankylosing spondylitis and psoriatic arthritis, and for adult plaque psoriasis. Merck & Co will market and distribute the drug in the US. Under its alternative name of MSD, Merck already markets Remicade in Europe, where biosimilars have in some countries virtually wiped the originator from the market. 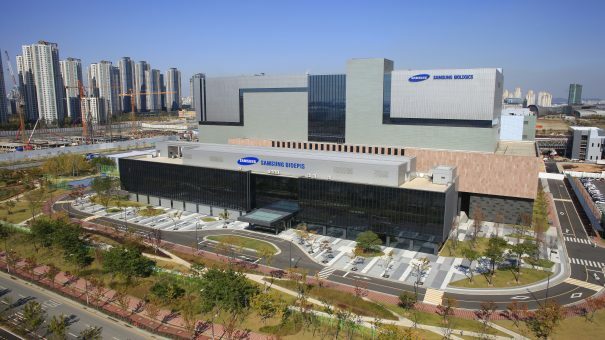 Pfizer began marketing a Remicade biosimilar in the US in October, which was originally developed by Samsung Bioepis’ South Korean rival Celltrion. Like Pfizer’s Remsima, Renflexis will not be interchangeable with Remicade, meaning patients will need new prescriptions in order to switch. In its Q1 results, J&J said that the biosimilar had yet to make a serious impact, although sales have dipped 2.4% compared with the same quarter last year to $1.18 billion. The approval of the first biosimilar Remicade a year ago represented a significant milestone for the FDA and the pharma industry. Remicade is a monoclonal antibody, which is manufactured in cells and is much more complicated in structure than a conventional small molecule drug, or indeed smaller protein-based drugs manufactured using cell-based technology. This means that it is also more difficult to produce accurate copies, and regulators such as the FDA and EMA have developed an alternative licensing pathway to ensure they are as close to the originator in structure, purity, and efficacy and safety as possible. Biosimilars are expected to produce billions of dollars in savings for healthcare systems, as a series of other blockbuster monoclonal antibodies lose patent protection. Renflexis is only the fifth biosimilar the FDA has approved, although they have been on the market in Europe for more than 10 years. On Friday, the CHMP scientific committee paved the way for a further three biosimilars, recommending Sandoz’s Erelzi (etanercept) for inflammatory diseases and Rixathon and Riximyo (rituximab).